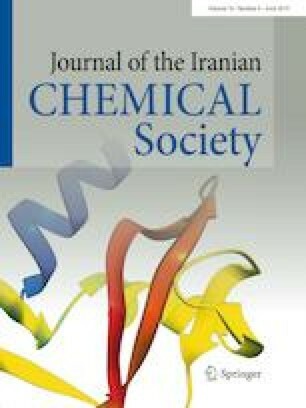 A new complex with the formula [La(5,5′-dmbpy)2(NO3)3] (a) [where (5,5′-dmbpy = 5,5′-dimethyl-2,2′-bipyridine)] has been synthesized. The compound was characterized by cyclic voltammetry, elemental analysis and spectroscopic methods (IR, UV–Vis, 1H-NMR). Single crystals adapted for X-ray diffraction analysis were recorded by slow crystallization from a methanol solution. The complex is neutral being the lanthanum cation chelated by two bipyridine derivative neutral ligands and three bidentate nitrate groups. Electronic spectra show the transition of both ligand field and charge transfer bands. The fluorescence properties of the compound have been studied. The interactions of complex with FS-DNA (salmon sperm DNA) have been studied using UV–Vis, fluorescence spectroscopies and gel electrophoresis. The above-mentioned techniques were used in physiological buffer having pH 7.2. The binding constant (Kb) for interaction in (a) with DNA was obtained using UV–Vis spectroscopies (Kb= 1.2 × 105) and fluorescence spectroscopies (Kb= 1.50 × 105). The binding constant (Kb), the number of binding sites for each 1000 nucleotides (n) and the apparent bio molecular quenching constant (kq) for FS-DNA were obtained through Stern–Volmer equation. Thermodynamic parameters data (∆H°, ΔS° and ΔG°) showed that hydrogen bonding and van der Waals interactions have an important function in the interaction of DNA–La(III) complex, and the binding mode is the groove binding. The DNA binding of La(III) complex is spontaneous as suggested by the negative ΔG°. Moreover, the DNA cleavage has been studied using agarose gel electrophoresis. The antibacterial effects of complex (a) have also been examined in vitro against standard bacterial strains. The authors sincerely thank the University of Sistan and Baluchestan for financial support of this work.